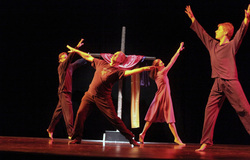 Over the past thirty years Father Bob has choreographed many dozens of dances that integrate with the liturgy. This archive documents many of those works. Interested parties are encouraged to utilize and perform these works.